We’ve come up with ten questions you can use when interviewing different dementia home care providers. To find out what to ask when you begin a conversation with a new home care agency, read on. What is your philosophy on dementia care? Not all home care providers are created equal, and the best solution for one family may not be the best fit for another. It’s important the agency you choose also shares your same core values in regards to the care of your loved one. Will they engage in activities and regular conversation? How do they handle bouts of anger or aggression? You want to be confident the provider you choose is more than just a “sitter,” and will have your loved one’s best interests in the forefront of their mind at all times. While the length of time a company has been involved in an industry is not necessarily in direct correlation to its ability to provide high-level care, asking this question is a great segue into a background on the company. Find out who started the company and why. If they’ve been in the industry for several years, you can ask about what changes have taken place within the industry, and how they’ve echoed these same changes within their own organization. If they’re new to the scene, find out what, if anything, they’re doing differently. Can you provide me with references to cases similar to my loved one’s? References should be among the most important factors in your decision. While a company may paint a beautiful picture of its offerings, hearing someone else’s experience straight from the source is paramount. Reach out to other families and find out what they liked, what they didn’t and any advice they may offer given the similarity of their situation. A home care provider is only as good as the professionals it hires. After all, well-trained and satisfied employees translate into a better quality of care for your loved one. Take time to understand the organization’s hiring process and means for selecting candidates. What do you look for when you run background checks on your caregivers? What level of experience do caregivers have prior to working for the provider? Do you create care plans for your clients? Any worthwhile provider knows dementia care is not a one-size-fits-all solution. Just as each stage of the disease presents its own unique set of characteristics and challenges, every patient has his or her own unique needs based on his or her personality. Your chosen provider should work in tandem with you and your family to develop an exhaustive plan. Additionally, you should receive a comprehensive, written version plan for your records and reference. What sort of memory care training do you provide your professionals? It likely goes without saying you want to be sure the caregiver working with your loved one has been properly trained. It’s imperative professionals are also specialized and experienced in the field of dementia and Alzheimer’s—not just basic elderly care—as these conditions have specific attributes. How will my loved one's caregivers communicate with me? Communication with your caregiving professional is the key to successful care and a positive experience for all involved. Open communication, regular dialogue and transparency is extremely important to ensuring your loved one is receiving proper care. Does the caregiver provide updates throughout the day? Knowing about even the smallest of changes can help you and the caregiving professional tweak the care plan as needed. What is your plan in the event of an emergency? Of course, any home care provider is going to offer some semblance of a plan in case of an emergency—but how do you fit in? While having a detailed plan is important for your own peace of mind, it’s also a good indicator of a well-designed organization. The provider should have not only a specific procedure for various situations, but should include you and your family in the mix, as well. Again, communication is key. What happens if mom’s caregiver gets sick or goes on vacation? Life happens. It would be great to find an in-home caregiver who was ready and available 24 hours a day, 365 days a year—but that’s not going to happen. People get sick, people take vacations and unexpected life events can happen at any time. However, the provider should be prepared to handle these scheduling conflicts. How do they choose substitutes and temporary fill-ins? Ensure that the temporary caregivers have the same high level of training as your primary caregiver. 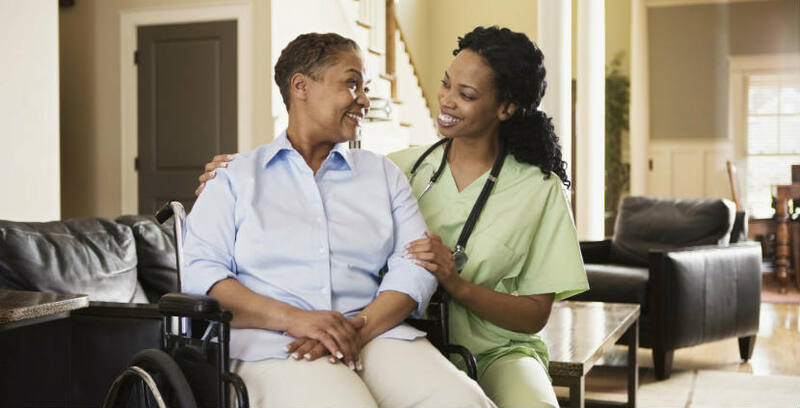 When hiring a home care provider, the ultimate goal is to select a candidate both you and your loved one will feel comfortable bringing into your lives indefinitely. How does the provider ensure its caregivers are friendly, personable and able to build long-lasting relationships? Do they require any sort of interpersonal communication tests or training? Knowing your loved one is in the hands of someone treating them with respect and dignity is crucial. After all, the foundation of any good relationship is always trust. Finally, don’t be afraid to reach out to various home care providers with any follow-up questions or concerns as you work through the decision process. A provider shouldn’t have any problems offering information and assistance to make your decision easier. And, if they do, it’s likely they aren’t the right fit. Considering in home memory care? Tender Rose can make a world of difference in your life, as well as the life of your loved one. Contact us today.